F-Secure is well known anti-virus company.F-Secure Internet Security 2011 is latest all in one security suite.It provides enough security to make your online life worry free. F-Secure is offering Free licenses of F-Secure Internet Security 2011 to their Facebook fans.The promotion license is valid for 6 months.Get protected to 6 months for free. 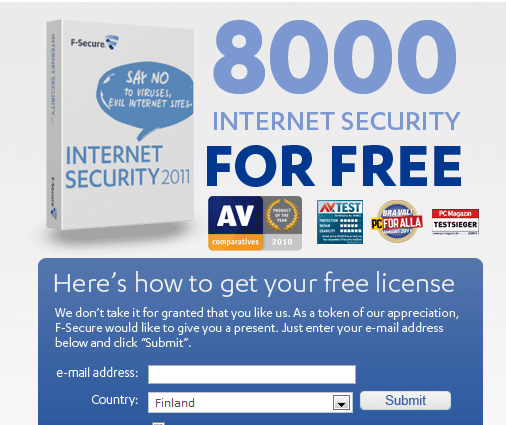 F-Secure Internet Security 2011 download link and serial code will be sent to you via email.